Mardi Gras, put on by the 15th Maquinna Rovers, has been run by that Crew for the last 14 years. Usually on the last weekend of September or first weekend of October at Camp Byng. Rainbucket, put on by Fraser Valley Venturers and Rovers, with help of Guiding counterparts in the same area, has been put on for roughly 25 years. Typically held the third weekend of November east of Chilliwack. RoVent, put on by remnants of the Vancouver-Coast Region Roundtable, and Friends of RoVent. 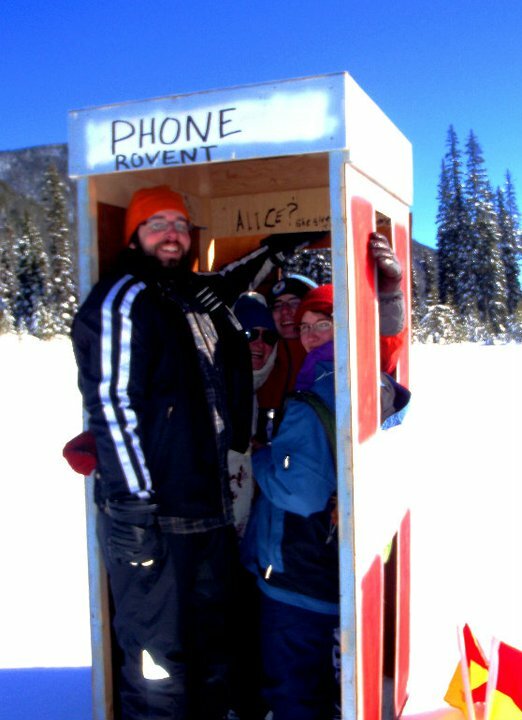 RoVent is held in Manning Park and regularly sees temperatures in the -20’s with participants largely sleeping in tents or other improvised shelters. Part of being prepared, the camp staff run a “cold talk” lecture in town for new (winter) campers about a month before camp. RoVent has been run for close to 45 years. RoVent is typically held the third weekend of February. 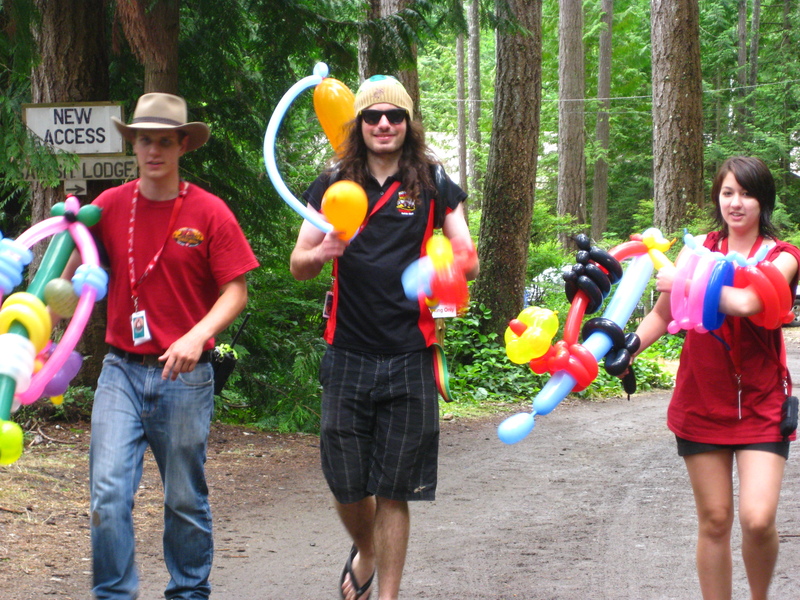 Camp Skeeter, held at Camp Calliet on Vancouver Island, is run by 1st Van Isle Rovers. Skeeter has also run for close to 35 years. It is held on the Victoria Day long weekend and features two days of program. Recently, some Fraser Valley and Pacific Coast Rovers have started running traditional moots just for Rover Scouts. The first legitimate Moot in at least 15 years was put on in mid-October 2011 and had a structured program throughout the weekend. Topics included presentations about the Personal Development Program from 180th Pacific Coast Rovers, a Search and Rescue session and activity, as well as a service project for the camp which was the only mandatory activity at the Moot. There are plans to do two of these per Scouting year; one in the spring and one in the fall. 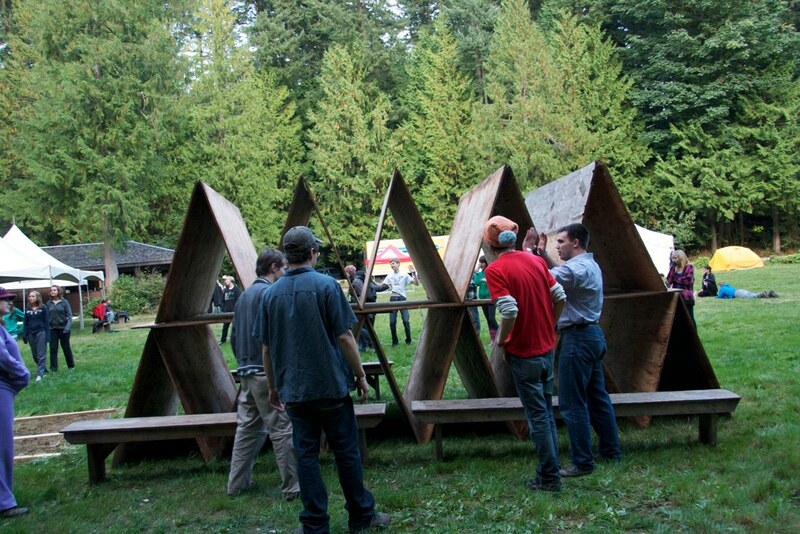 July 2012 will see the inauguration of Camp Coyote, held at Camp Barnard in Sooke, BC on the south-west coast of Vancouver Island. Camp Coyote offers high-adventure program such as zip-lining and rock-climbing on actual rock faces instead of in a gym or on a climbing wall. Camp Barnard also offers many on-site program activities, such as archery, hiking trails and water sports. The camp will be open to Venturer Scouts and Rover Scouts and is hosted by the Greater Victoria Area, staffed by both youth and volunteer members. Camp Coyote will be held on the first weekend of July, and run three years on, one year off in accordance with the Pacific Jamboree cycle. 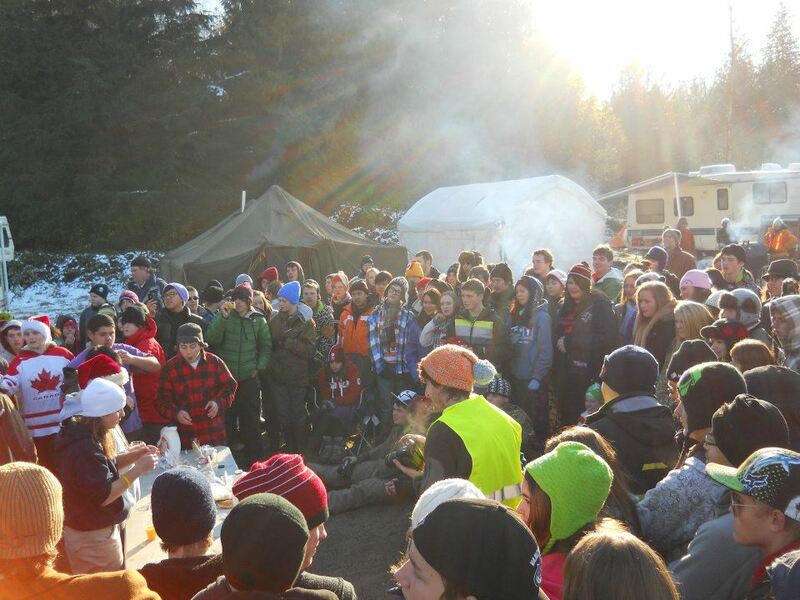 Activities offered at these camps are a blend between classic Scouting events, like a campfire cook-off, eating contest, or an obstacle course in the snow, to activities like a scavenger hunt or snow golf. 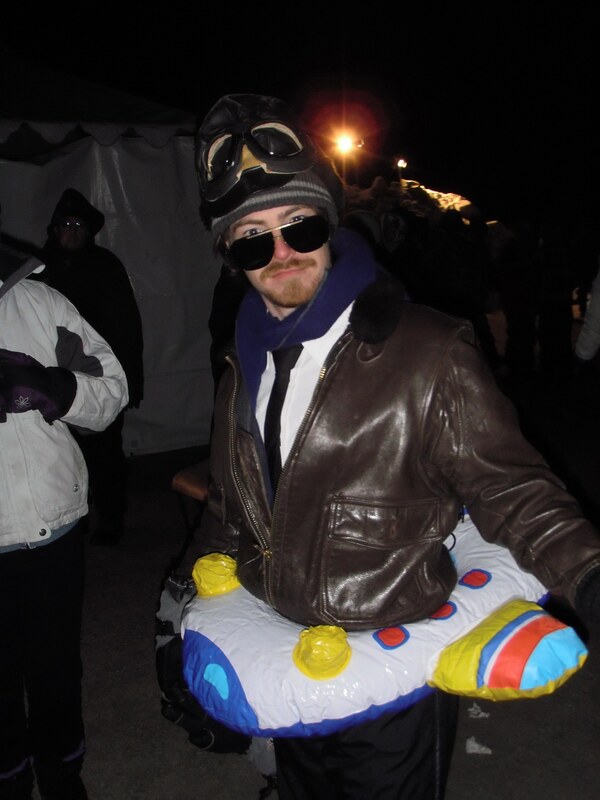 Each year, camp staff pick a theme for the camp; much like you would for Beaver Scouts or Cub Scouts. Recent themes have included: Roman Empire, Cowboy Western, Super Mario, Sesame Street, Highland Games, the Muppets and Superheroes. Events are then modified to fit the theme. At the most recent Mardi Gras, which was themed “Rocktober” some events were named: “You Oughta Know” for Trivia and “Brown Sugar” for the Cook-off. These are age-appropriate activities aside from the general description of the event often present youth with unexpected challenges, with the focus on fun and healthy competition. To win these activities takes skill and experience, but spirit and enthusiasm are always appreciated. 1st South Vancouver Company and Crew showing off our loot at RoVent 2007. Many events at social camps have a trophy attributed to them, and special awards for overall Scouting spirit, a challenge award for the group that does the best overall in the activities; also silly awards, like farthest traveled or the dirty band-aid award which goes to the participant who has injured themselves the worst. When an individual or a group wins an award, they are entitled to “bragging rights”. 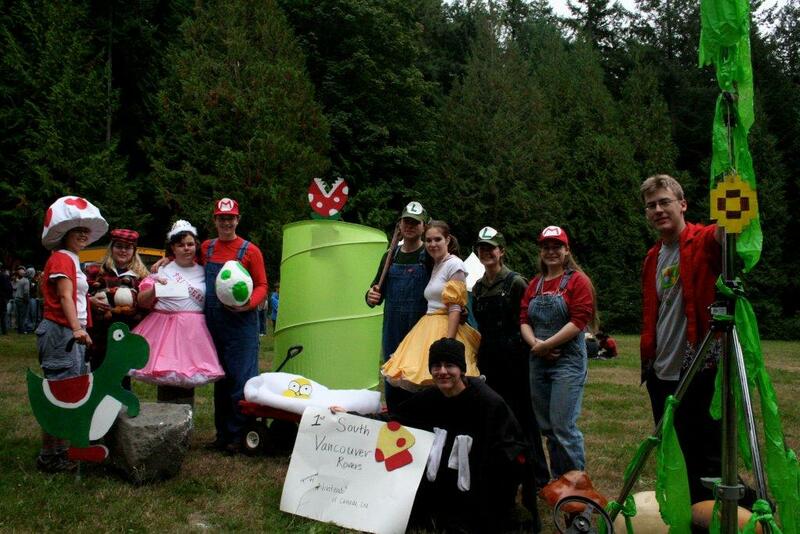 At Super Mario Mardi Gras in 2006, the 1st South Vancouver Rover Crew started planning to enter the off-site scavenger hunt, site decoration and other competitions at least four months in advance. We actually sought out sponsorship for the camp, and were successfully sponsored by Nintendo of America(Canada) Ltd. Yes, we went all out. Groups are encouraged to participate in activities, but they are able to hang out at their sites if that is their preference. Being anti-social is generally discouraged and due the nature of the camp, people tend to make new friends easily. Arguably, the cause and impetus behind these camps. Without them, the only time these Venturer Scouts and Rover Scouts would communicate with other groups outside their area would be jamborees and the odd Council event, which happen few and far between, despite the best efforts of the multiple Council Youth Commissioners over the years. Neither of these are conducive to networking and real friendships. Rover Roundtables were dissolved when Regions became Councils and Areas, and Roundtables were never brought back. Rovers no longer have a solid communication structure within the Council hierarchy. None of these Rovers are in the same group, yet they got together and won the bottomless boat race. With the camps, Rover Scouts and Venturer Scouts have an opportunity to see their friends several times a year. The Venturer Scouts would be complete strangers at the Pacific Jamboree without social camps, and as a result, a much more cohesive team environment has been created for Pacific Jamboree events due to the social nature of the camps. FOCUS and other youth events would be nearly impossible to put on due to lack of interest without social camps. This way a first year Venturer Scout will meet the majority of Venturer Scouts in Pacific Coast, Fraser Valley and parts of Cascadia Council within the first two months of becoming a Venturer Scout. They are immediately aware that their company is not the only company in the Lower Mainland. It’s not uncommon for Venturer Scouts to find new friends by the end of the weekend that they’ll have for at least the next 15 years. I am still good friends with the majority of people I met from my first few social camps. Venturer Scouts are also thrown in to new social situations. If a youth only ever interacts with the same scouts they grew up with in Beaver Scouts, Cub Scouts and Scouts, their social perspective never changes; thus never challenging them. Meeting 300-700 other youth of the same age is a little daunting, but it provides a safe and encouraging environment for socially-awkward youth who may have trouble meeting friends and like-minded individuals at school. Social Camps also provide an opportunity to meet life-long friends, as well as network with other Companies and Crews, promoting a less isolationist attitude towards Scouting and Groups, and give them a small sense of the world Scouting brotherhood. Social camps also provide a mentoring opportunity, where Rovers act as pseudo-older siblings and positive role models for Venturer Scouts. Sometimes youth live in an environment where these role models don’t exist. This mentoring is evident with the amount of ‘self-policing’ that occurs with Venturer Scouts and Rover Scouts at social camps. Except for when #RoversDoStuff like this. Most Rover Scouts are aware that the younger youth view them as role models and as such act accordingly, and encourage their peers to keep up appearances. Social camps laid the groundwork for the creation of the RoversBC.com forum in December 2004, which provides Rovers in BC an avenue to talk with other Rovers outside of camp; and allows for the discussion of issues facing Rovers. As newly-minted Adults, many Rover Scouts simply cannot afford to take a weekend off work, or afford to spend over $50-60 on a camp, with food, registration and travel, and still pay rent. Rover Scouts also don’t know how to take personal time for themselves. These camps and events provide opportunities to engage with their peers in a camp setting, which can be a welcome break from essays and exams or work. The established dates of Social Camps allow people to plan work in advance, and give adequate notice to both themselves and their employers. Rover Scouts are notorious for not being able to attend crew meetings, day events and/or camps due to work, or post-secondary educational workloads. Many have enthusiasm about events, but cannot or will not commit, instead saying “Oh, we’ll see what happens that week, but I can’t confirm yet.” Social Camps almost guarantee attendance of most Rovers as they know exactly when the event is, usually at least six months beforehand. These camps also provides a space for Rover Scouts, who may be too busy to take on a leadership role due to school or work, a camp to relax and recharge while still keeping them involved in the movement until such time they can contribute again to Scouting. Social camps are a natural stepping stone for Companies and Crews to plan their own events. They provide concrete examples of how a camp is run by youth that aren’t much older than themselves. They can use the skills of looking up information for ferry fares or how to budget gas to get from point A to point B. That may not sound like much, but you would be surprised, even with the internet everywhere. As youth evolve, they can help by being part of the camp staff, further developing their own project management and leadership skills, by taking on the planning of events at camp, or the pre-camp preparation of gathering gear and materials. Social Camps provide an opportunity for Venturer Scouts and Rover Scouts to take responsibility for a camp – they plan their menus, transportation and gear, much like they would for any other event. However program (and some camps provide some food too part of registration)is provided for them. This significantly lowers the time required to plan for a camp, and these camps if used properly can be used towards practice journeys for certain awards. For example, a group could attend Camp Skeeter and cycle from the ferry terminal to camp with their gear (a distance of ten (10) very hilly kilometres similar to terrain encountered among the Gulf Islands in BC). This would count towards a practice camp for a cycling expedition, perhaps for their Duke of Edinburgh’s Award. The same could be applied for RoVent, where it would allow groups to prepare for winter expeditions with a safety net. Given that youth at these events have free reign of their environment for the most part, the camp relies on adherence to the Scout Promise and Law to maintain order. Many Advisors use a “Check In” system, where youth are free to visit other groups and participate in the activities, but must check in at the designated times – usually meals and an agreed-upon curfew in the evening. Participants are encouraged by their peers to help out other groups with things like filling water containers or setting up camp with other groups, especially when their own duties are complete. Campers are encouraged by their peers to have an upbeat attitude at camp; even if it’s -30C there are still 40 to 50 people who dance the night away at RoVent. Sorry Nick, But you had an upbeat attitude at a very cold RoVent dance. At all camps, sites are left cleaner than how they were found. Keeping sites clean as well as keeping the neighbours happy is a prime concern to camp staff and is made clear to participants that being considerate and clean will guarantee the site for next years’ camp. Some members of Scouting and Guiding have even met their future wives or husbands at these camps. My brother met my sister in-law at a RoVent about 10 years ago and they are happily married and still very much involved in Scouting and Guiding. ln another Crew, many members started dating in Scouting and now have young families. These are examples of how Social Camps and Senior Sections networking can foster healthy, lasting relationships. Youth aren’t the only ones that gain value from these events. Woodbadge Part I has been offered at Mardi Gras for the last 4-5 years. 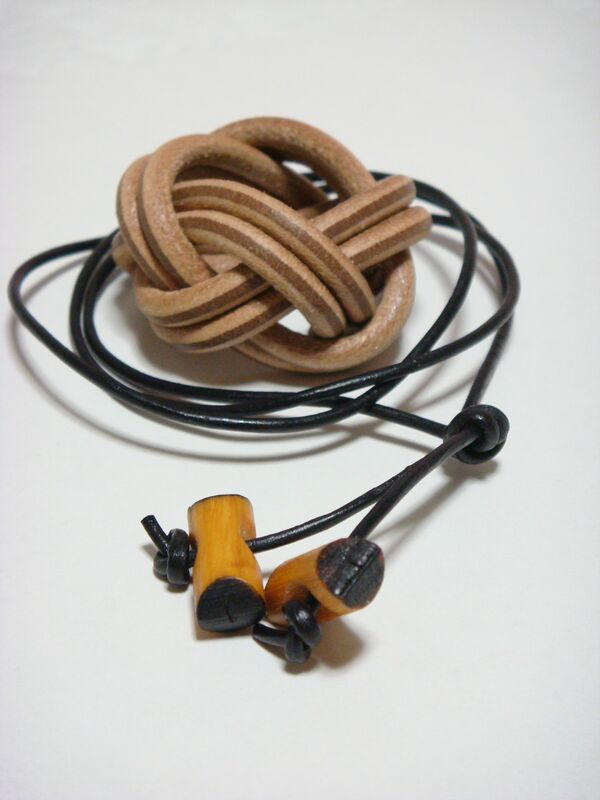 This offers a constructive activity for Advisors, as well as gets them trained in the Senior Sections which is not always offered in other, local Woodbadge courses. Youth participants are also welcome to take the Woodbadge training. In person training gives Advisors a way to meet other Advisors, to share their experiences, and remind each other that they’re not alone; Scout, Beaver and Cub leaders tend to greatly outnumber Venturer and Rover Advisors at Area and Council, and even Group events. WB2 in Company and Crew was also offered one year if you attended Rainbucket, Rovent and Skeeter. Rovers can also benefit from taking their section training; Rovers are sadly neglected when it comes to “youth” training. Where Venturer Scouts have FOCUS, Activity Leader/Scouter-In-Training and Company Executive Training, Scouts have Fun Active Scout Training (FAST) and Cubs have Fun Leadership EXperience (FLEX) training, Rovers are left generally to their own devices when it comes to how their crew is run. Both Woodbadge training and Social Camps, in the absence of Roundtables, help Crews learn to how to run more effectively. This benefits their home crews, their groups, and their communities. In recent years, Rovers have had quick, superficial Roundtables at the Social Camps, where real results are rare and the exception instead of the rule. I can’t give you pages of hard facts or do up a shiny keynote lecture on these camps and my evidence is anecdotal, but find me one Rover in southwestern BC that has attended these camps and regretted it. These camps teach the soft skills of life you can’t get from writing a report or going on expeditions. B-P said, “A Scout is never taken by surprise; he knows exactly what to do when anything unexpected happens”. There are so many things that had I not been a Venturer and encountered “situation X,” I would have been wholly unprepared for it. In the end, we live in a world of people. The single most powerful tool is to be able to work with others, and to get them to work with you. Scouting hones that by taking us a step away from some of society’s safety nets, forcing us to have to improve our inter-personal skills to thrive. These skills are perfectly transferable back to our roles in society. Can’t get much more relevant than that. This entry was posted in Discussion, Fun and Games. Bookmark the permalink. A very well-written and very enlightening article, even for someone who’s participated in most of the things described here. 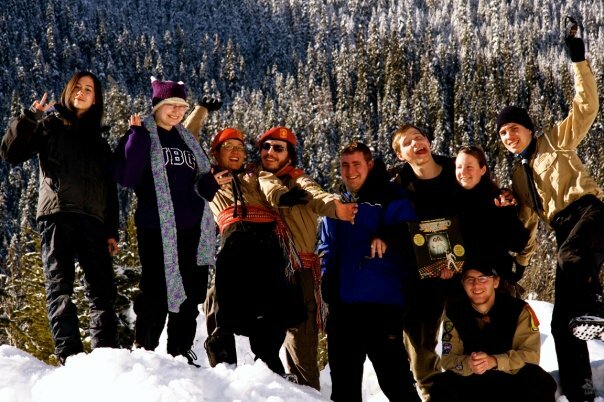 As a former member of 1st South Van, we did do a heck of a lot of awesome things together as a crew, and we were a Crew founded by people from different groups and areas, who all met at the social camps and immediately bonded together, sharing love, laughter, and tears. Mod: Alton, I edited out your corrections, but I wanted to share the rest. You know the reason that Rovers has only had a sinlge award? Because BP felt that once he had become a Rover (or Rover aged), you’re an adult and shouldn’t need awards any more. Not to say there’s no place for recognition, but individual achievement awards such as the Cub Stars, Chief Scout, etc. were unnecessary. I agree with him.There’s also a team looking at a similar award for Cubs. Does the six-star award not work?Basically, I don’t understand why we have all these expected changes (they’re planning badges for Beavers now too!). If it’s in an effort to gain new members, I believe it is misguided but change always makes people feel good. As at the PCC Service Team meeting: one of the three goals was change . And frankly, that’s what it feels like is being pushed through Scouts Canada right now. Not direction or purpose or what have you, but change it make us feel good that we are moving forward when really we are just running in place (in these aspects). The point you make about Rovers not having time to show up at meetings and crew outings because of work or other commitments is way to true. It would be great if we had some pre planned camps to get all the lone ventures and rovers together to show them that their are other sr youth. Love this blog post! Seems like an overall win-win situation with social camps for Scouts, Guides and others involved. the comment about rovers being short on time was something I found 40 years ago. The fact that I could be in and out of program as time allowed kept me in scouting in one form or another for most of that 40 years. good essay Mark. Good article. The more things change. . .
Rainbucket has been around at least 32 years! The early 80’s were at Camp Albrumac in what seemed like a very wet Valley. We also did some rappelling with a single rope down a rock face. A couple of other camps from the 80’s were Raven and Wrongway. Raven was held in late September on Pitt Lake and then Aloutte Lake. The camp featured an orientation course on the lake. 1st Yennadon ran the camp for a number of years with help from other local groups. Wrongway was done backwards as predicted. It was held just south of Whistler. Love this article, very well written. 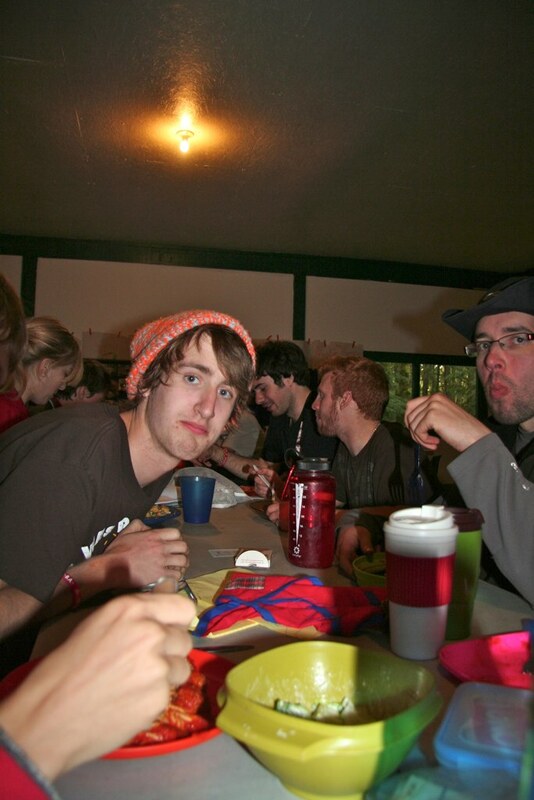 There is also now the social camp HEATSTROKE (new and improved sunburn) held in kelowna BC at camp dunlop in august. It runs generally the 1st weekend of august and is super sunny so be sure to pack your sunscreen. Most activities are down at the beach which is a just across the street from the camp and there is a dock there aswell. August 2012 was the first year in many heatstroke ran. We had a great turnout and was lots of fun. 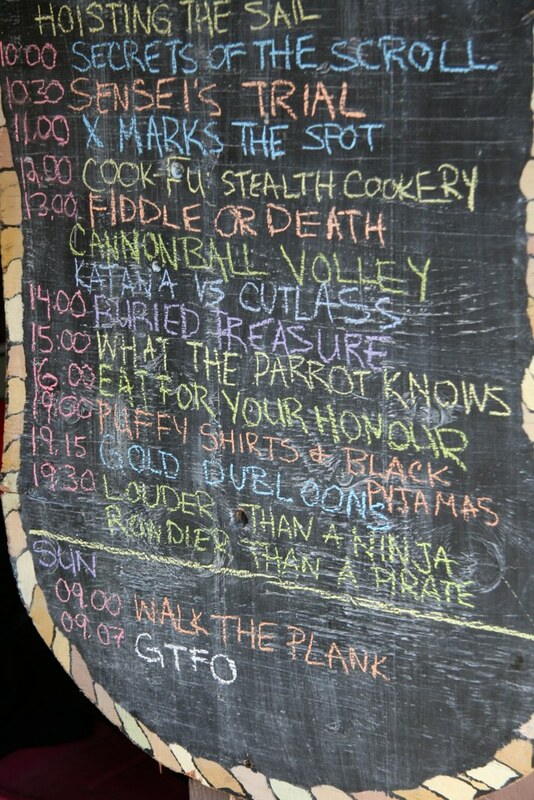 This year activities include an eating contest, a dance, water activities and the possibilty of a ropes course. This article is great and true description of these camps. I don’t know if these blogs allow for corrections after the fact but in discussion with my brother we concluded that our crews in Islands Region Rover Roundtable ran the 1st Camp Skeeter May 18-21 1984. It was to be a fun economical camp where our crews didn’t have to leave the island to host our scouting friends and at the time an alternative to the Wrongway Camp. It was just far enough to be away from home but still in the back yard, travel wise, for the vast majority of mainlanders. So at the time of your writing Skeeter was 29. Hi Larry, I would agree with you on the dates but the original camp was run by our Crew – 1st Nanaimo Rovers. We were still running it when I left for Ontario in 1988 following the camp. Not sure when The Islands Region Rover Roundtable took it over but it would have been after that.